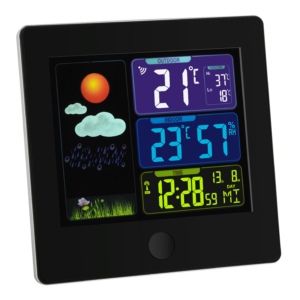 The decorative PRIMAVERA wireless weather station from TFA shows you the weather as colourful illustrations! 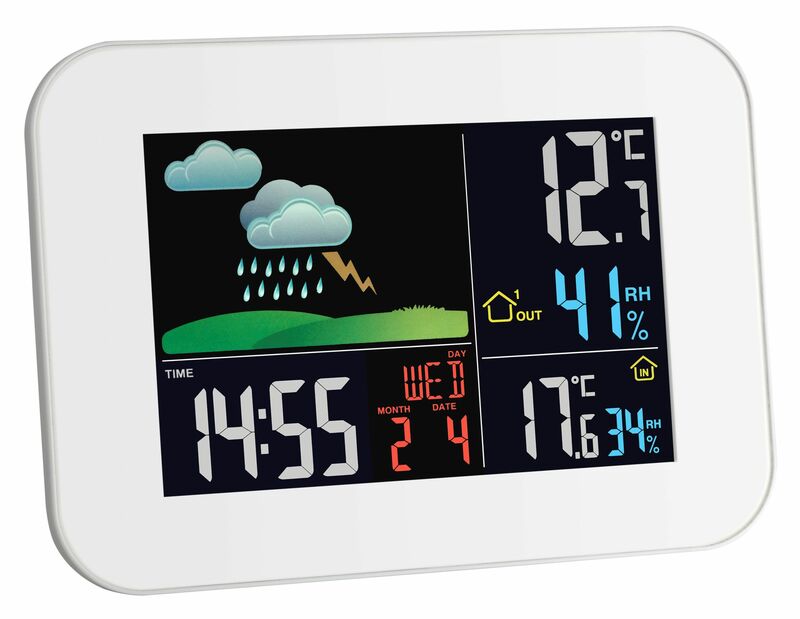 You’re always well informed about the weather with just a look at the coloured display. 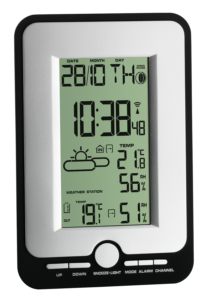 A separate wireless transmitter determines the outdoor temperature and humidity at its the location. 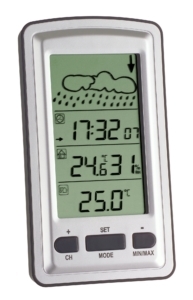 To monitor the indoor climate, the temperature and humidity are displayed. Through targeted heating and ventilation you create a pleasant and healthy living environment and even save heating costs. In addition, you can get the highest and lowest values, the dew point and a heat index. 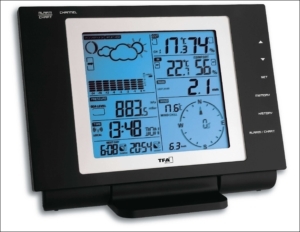 The current time and date are received via the DCF77 radio signal. A wake-up alarm will always get you out of bed at the right time. 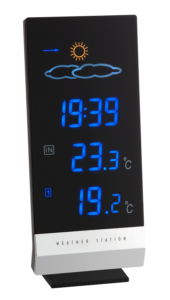 The colour display can be set in two brightness levels or it can be completely switched off, as an option. 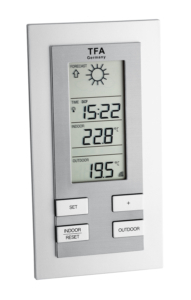 Two additional transmitters for temperature and humidity control, e.g. in the nursery, bedroom, cellar or garage can be connected. A special feature is the built-in charging function for devices with USB port, with which you can charge your smartphone overnight (only in operation with the power adapter).